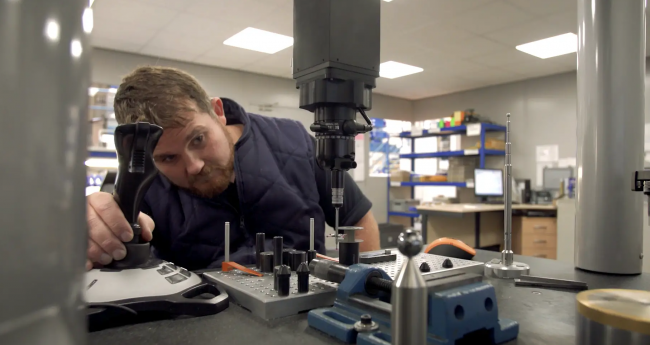 The Manufacturing Technology Centre (MTC), one of the High Value Manufacturing Catapult Centres, replaced manual processes at Harris RCS with digital display systems, creating significant OTIF delivery and productivity improvements. Harris RCS is a successful family-run aerospace business. With growth in their sector and customers demanding excellence, considerable pressure was placed on their delivery performance. With the MTC’s support, Harris RCS identified scheduling as the root-cause of wasted time and failed deliveries. Understanding that SME resources are limited, the MTC assisted Harris RCS with utilising existing resources and IT infrastructure to improve scheduling and planning. The MTC constructed a shared vision of a visual workplace, where the schedule was planned and communicated to the shop-floor via large plasma screens. User-specific dashboards were installed on the shop-floor displaying daily plans, performance and business intelligence in real time. The order status is communicated in a visual colour-coded system. The data is generated automatically, communicating accurate and reliable delivery dates to their customers.